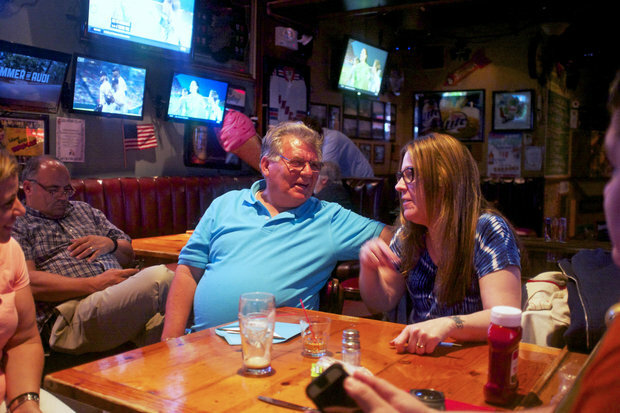 Steve's former customers threw him a surprise retirement party in Glendale, where he worked for decades. GLENDALE — When Barbara McDermott stopped hearing the bell of the ice cream man who had served her neighborhood all her life, she was worried. So three years ago she created a Facebook page to find out where Steve Stathopolous, also known as Steve the Ice Cream Man, was. 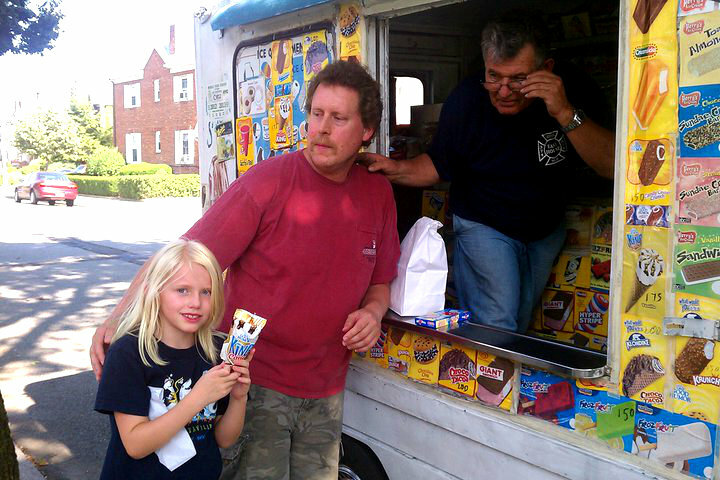 When his daughter Nikki Dandouras found the page and let his customers know he was forced to retire in 2012 due to an injury and a failing truck after selling ice cream for four decades, McDermott had a thought. “Does the ice cream man have a retirement party?" 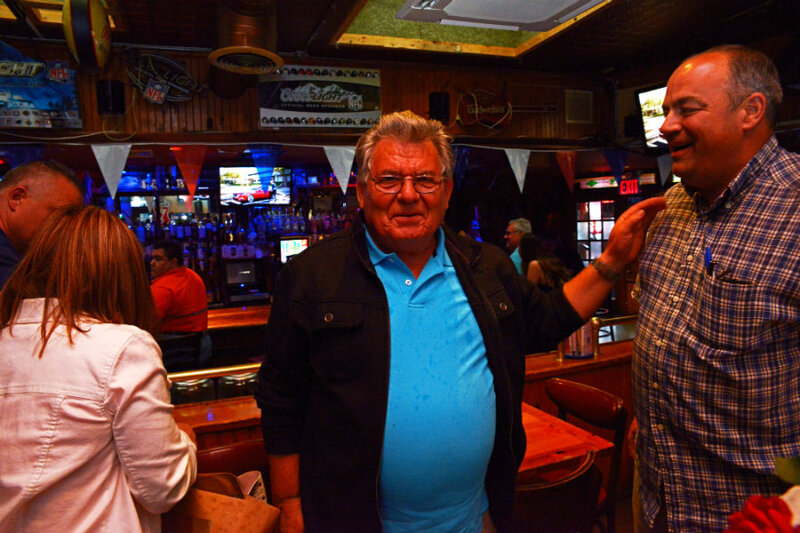 On Saturday, June 27, Stathopolous was surprised at Yerman’s Pub in Glendale by some of his former customers, some who hadn’t seen him in decades. 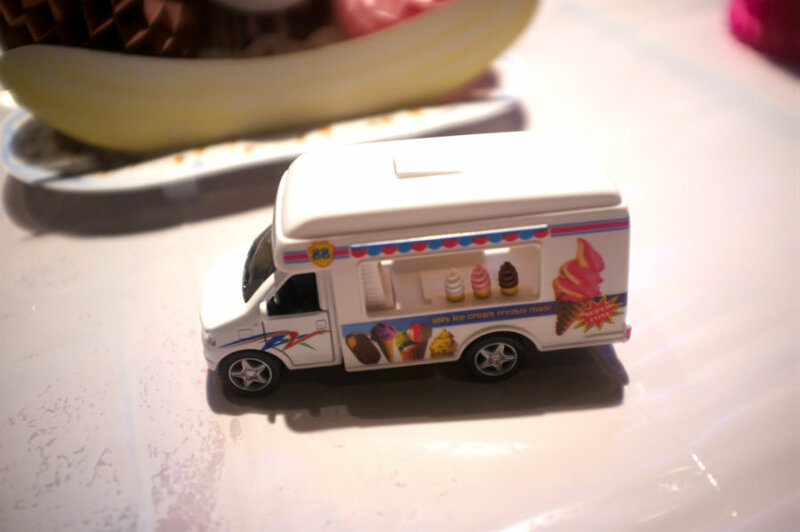 There were drinks, food and ice cream, including the Marino's ices, chocolate-dipped bars and the candy he sold on his truck. Stephen Biegel, 53, came up from the Jersey Shore for the party, seeing Stathopolous for the first time in 30 years. Stathopolous, 68, remembered all of his former customers despite the amount of years that had passed since he’d last seen them. Their eyes hadn't changed, he said. His 1970 Good Humor truck drove up and down Glendale's streets, sometimes more than once a day, stocked not just with ice cream but with candy, soda, handballs, sparklers — it was a “candy store on wheels,” his customers said. He bought the truck soon after moving with his wife, Ourania, 59, to Queens from Patras, Greece, in 1973. They lived first in Jamaica, then Rosedale, and in the winters Stathopolous worked as a chef. “He worked two jobs to buy the truck,” his wife said. She rode in it with him once, she said, but found it boring. 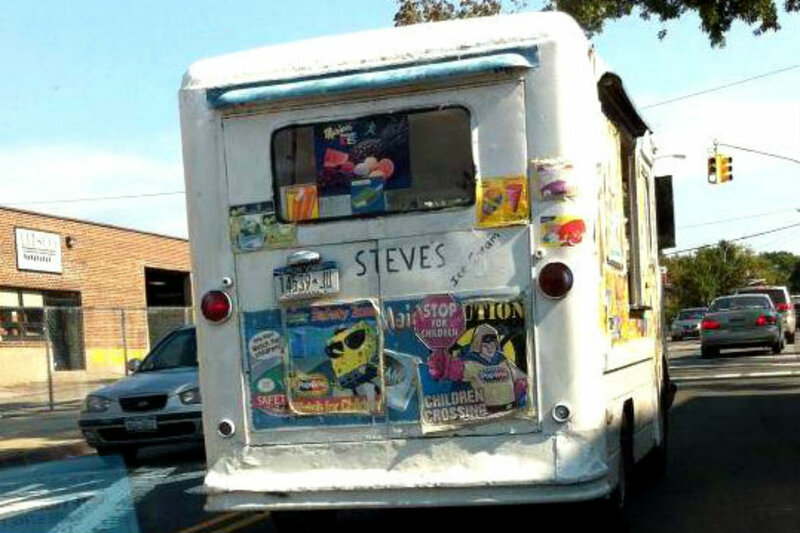 “Steve's Ice Cream” was hand written on the back of the truck, and he posted up a list and photos of everything he sold. It was practical as he learned English, he said. When kids wanted to know what he sold, he’d point. Their daughter Nikki remembered the long hours her dad worked, seven days a week, every week, from April through October, coming home close to midnight. She tried to hide his keys as a kid a few times to make him stay home, but he always went to work. Her first job was bagging the Swedish fish that he sold. McDermott looked forward to hearing the bell of Steve's truck, which she said was like a firehouse bell, and her own children grew up with him, too. “He knew the kids in the building would hear the bell and waited longer for all the kids to get out of their apartments," she said. "He’s still the only ice cream man I’ve ever bought from," said Eugene Klein, 47, who's lived on 79th Street most of his life. "In a way, he’s an old friend. I was always happy to see him and he’d take that extra minute to talk to me." Stathopolous was forced into early retirement in April 2012 after a series of events that started on his 65th birthday. It was his first day out on the route for the year, but his 42-year-old truck — which had become more and more expensive to maintain — broke down. After helping to get it on the tow truck, he hopped off the back, breaking his heel. Once he recovered, he realized his truck had become too expensive to maintain. He sold it in 2014. Steve now spends time gardening — he grows eggplants, green beans, lettuce and giant tomatoes, and picks a rose for his wife every morning. His grandchildren, Stavros and Panos, have also kept him busy, Ourania said. But the surprise party left him feeling "like a king, he said. “I came over here, 25 years old, and I leave truck 65 years old,” he said.